Henbane is a biennial plant. It has a long, thick, spindle-shaped, corrugated root, which is of a brown color externally, but whitish internally. The stem sometimes reaches the height of two feet, but often stops at an altitude of six inches. The leaves are large, oblong, acute, alternate, and of a pale, dull green color. They have long, glandular hairs upon the midrib. 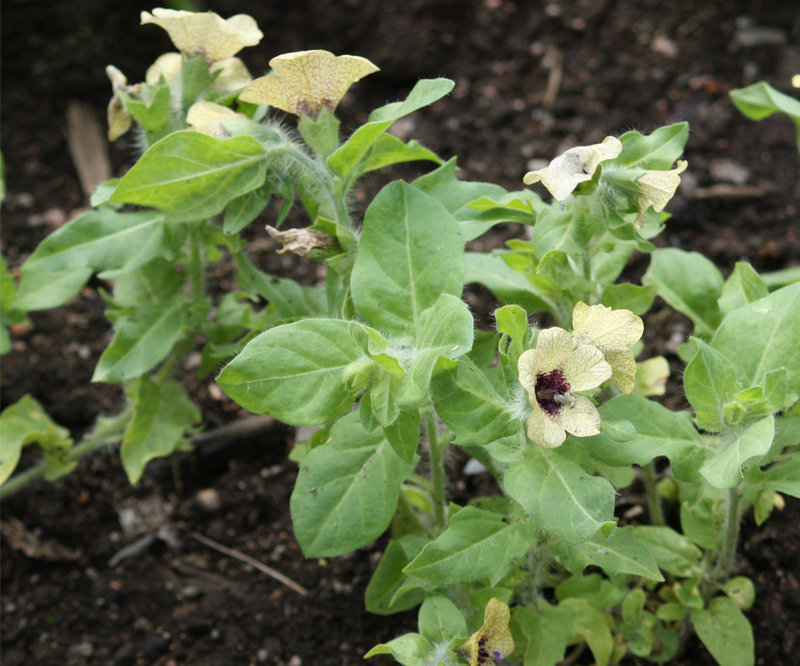 The flowers are funnel-shaped, of a dull yellow color, with purple veins and orifice. The seeds are many, small, obovate, and brownish.